For the first time in many years I was in need of some new street tires. 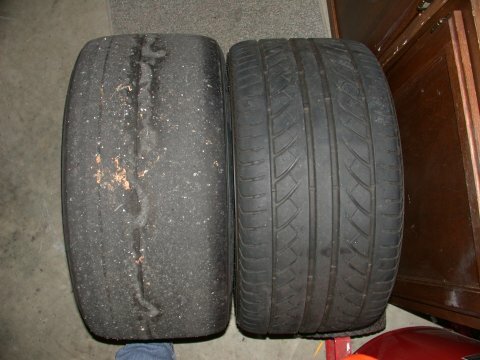 The dual purpose Yokohama A032R's I had been using on the street for the past decade (at least that's what it feels like) were at the end of their life. Although some tread remained they had been quite heat cycled and no longer had much grip left at all. Time for new tires. 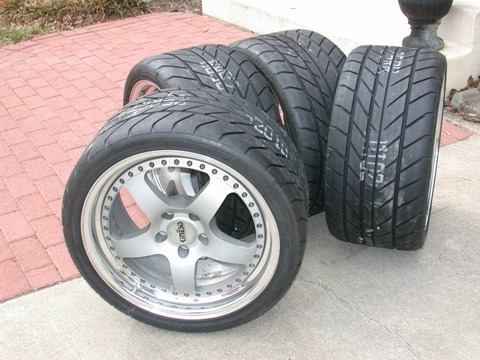 After doing some shopping I was faced with a price tag of $800-$1000 for a set of *good* street tires in the 255/40-17 size for my SSR's. YEOW! 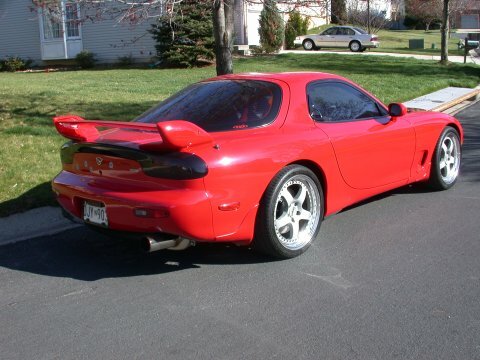 And then I spotted a "For-Sale" posting. A set of Kinesis rims with decent tires. The wheel I had lusted after since spotting these mounted to an FD in a pic of a car at the Winter Wankel Wonderland a few years ago. 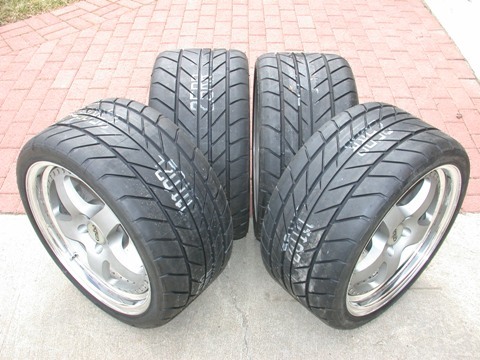 Quick..do the math - need to spend $800-$1000 on new tires anyway, can sell SSR's for some pennies, how much more would the Kinesis rims set me back. The answer... only about $500. SOLD! A few emails later and they were mine. Of course I had to wait almost 5 weeks to get them but beggars can't be choosers. A Few Words About the Package So what is it I purchased and is it worth it? 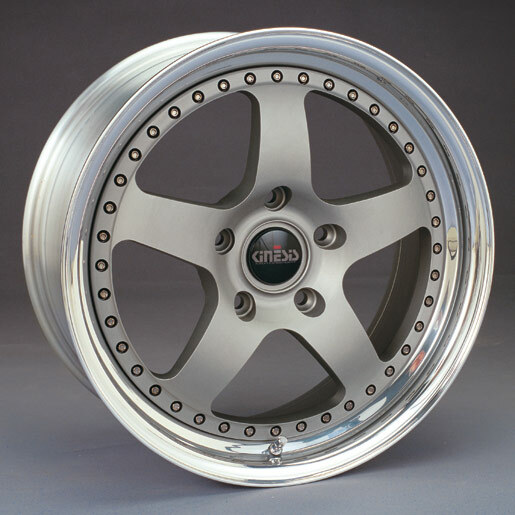 The package consisted of four 18x10 Kinesis K58 rims shod with 285/30-18 Bridgestone Potenza S02A tires. Purchased new this "package" would cost between $4500 and $5000. The K58 rims are a 3 piece aluminum rim with the Kinesis standard hard anodized center section with a polished lip. The K58 is the 18" version of the K5 style. 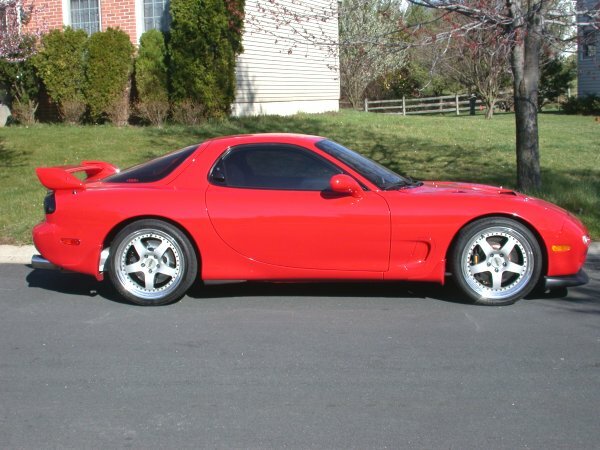 The wheels are all 50mm offset. 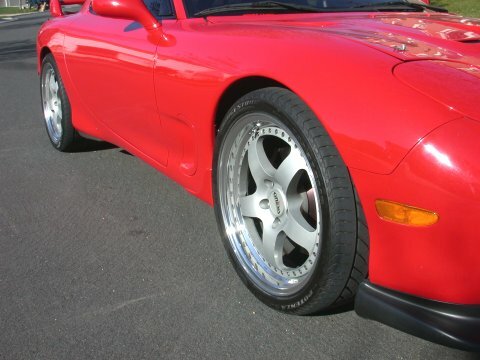 The wheels are fitted with S02A tires which is an OEM tire for Porsche. It is NOT an SO2 or an SO3. The tires I'd estimate have about 75% tread wear left whch for me could be anywhere from 3 to 5 years worth of life given the amount for street driving my car sees these days. As for the condition of this "used" set, apart from being a bit dirty they were in fairly good shape. One rim will require some scratch removal and the insides of two rims will require some work to remove brake dust etching but the rims were as good as I good have expected. 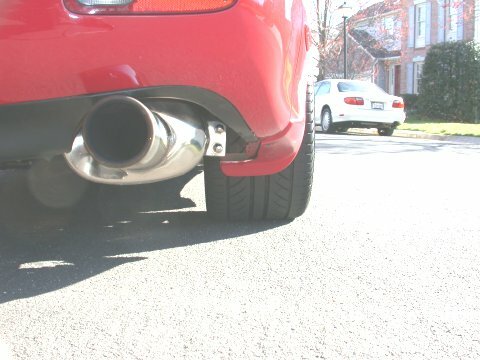 A lot of tire for such a "little" car. Some New Rubber - Summer 2009 Time passes and the old and weary Bridgestones, which were beginning to dry rot, were due for replacement. With all the power now available after the engine rebuild those poor old Bridgestones just couldn't take it anymore. 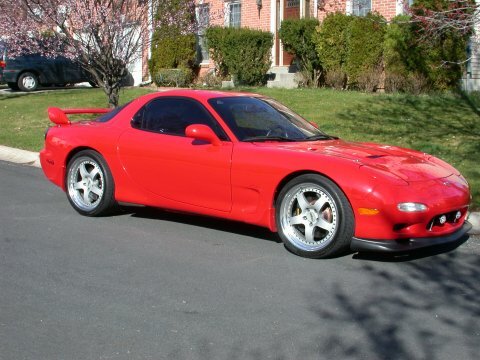 And when a deal was offered on the RX7Club forum I jumped. A brand new set of BF Goodrich G-Force T/A KD's in 285/30-18 size came my way and were fitted. I also took a few minutes to clean and repolish the Kinesis'. Oh so shiney! Big Fat Steamrollers with Nice Big Treadblocks - STICK-UM!